When fear of a fire forces Bennet sisters Elizabeth and Jane into compromised situations, both sisters concede they must marry. The trouble is, Mr. Bingley is honor bound to offer for Elizabeth, as Mr. Darcy is to offer for Jane. Can our two favorite Pride and Prejudice couples untangle themselves? Find out in Entanglements of Honor, a Pride and Prejudice variation novella. 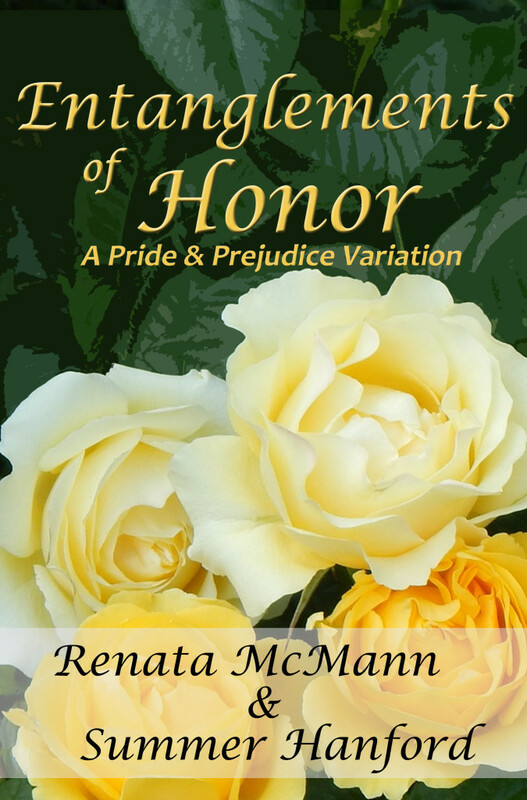 Entanglements of Honor is a Pride and Prejudice variation novella of approximately 38,000 words. Buy Entanglements of Honor on Amazon Kindle! Click HERE! Buy Entanglements of Honor in print on Amazon! Click HERE!